If you don’t immediately think of surf and sand when you think of Alaska, get ready to have your whole perception changed. 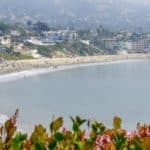 With more coastline than any other state in the nation, measuring out at approximately 5,580 miles, it’s only natural that Alaska would be filled with the most glorious beaches in the entire world. You would love Alaska, it is very beautiful. If you want to see the beaches as well, head there in June, July, or August. Only good months for weather 🙂 Thanks for stopping by the best Alaska beaches! 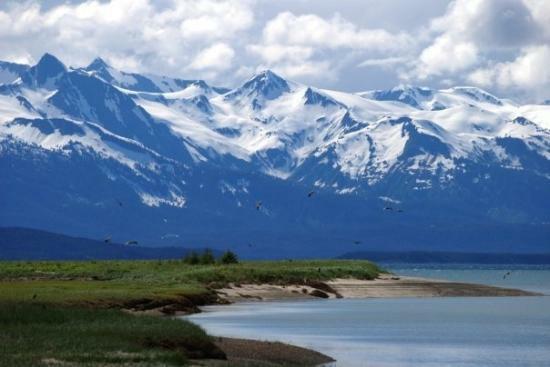 One of the states that I haven’t taken a vacation to is Alaska. I have heard that the winter is dark, though. Meaning it’s like 14-16 hours of darkness. I can’t remember where I read that. But, do you know if that is true? Yes Garen, I lived there for 22 years. June thru August the sun does not set, then the days start getting darker and during the winter months the sun does not come up…it is like dusk from 10 am to 2 pm. The rest of the day it is dark. So visit during the summer months. Thanks for stopping by. Really enjoyed and found it interesting reading through the list. 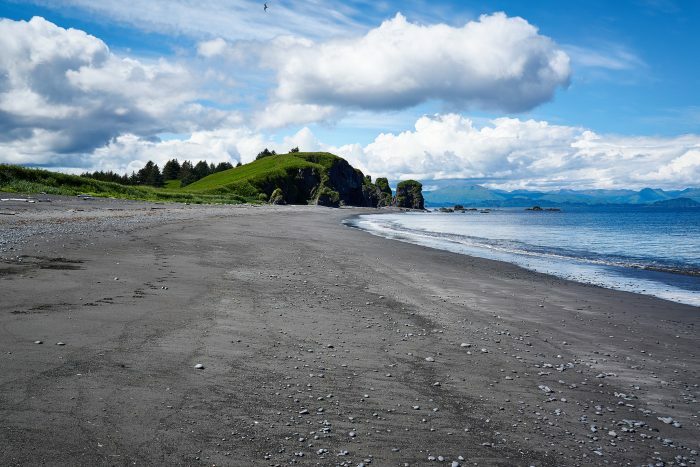 There sure are a lot of varied, fantastic and stunning beaches in Alaska. Nice images. Thank you Eden and glad you enjoyed the best Alaska Beaches. I have been to most of them and I did play in the water! Only during the summer months tho 🙂 Thanks for stopping by Beach Travel Destinations. I was on the beach in Homer. What’s really cool about the beach there is that the tide goes way, way out. When I was there, the tide went way, way, WAY out. My sister and I explored the sea life while the tide was out. We saw all kinds of starfish (big ones too! ), baby Halibut and we even saw an octopus, which was incredible! So I definitely recommend that beach! Now, I need to visit all these others you have listed! I concur Christina! 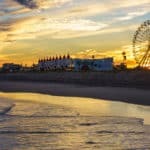 I lived there 22 years, and I highly recommend visiting some of the beaches. It is an incredible vacation destination. Thanks for stopping by. What beautiful beaches. I have picked out 2 that I would really like to visit. My husband has been wanting to go to Alaska for years for the wildlife. Now we can both have our favorite vacation. Me with a beach and my husband with wildlife. 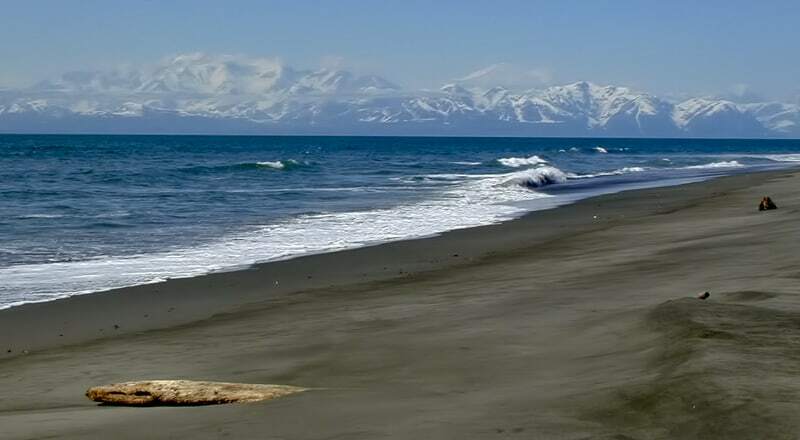 I would never think of going to Alaska for a beautiful beach. You have opened my eyes on new beautiful beaches. Do you know if any of these are actually warm enough in the summer months for swimming? I am thinking not, but maybe if we are brave we could put our toes in the water. I would like to check out Black Sand Beach in Barry Arm for the pure beauty of it. Thanks for providing me with information that I would have never thought of in beach destinations. I lived there for 22 years and I did swim, and I did where my bikini and get a tan. So you can most certainly swim. June thru August is really the only time for that though 🙂 You can both have a wonderful vacation in Alaska! Thanks for stopping by. What an insightful post with such beautiful pictures! I had no idea how many beaches Alaska offers, or that I could consider a surf travel destination so now am now keen to go explore. Great post! Thank you! You are welcome Bex, and yes there is great surfing to be had in Alaska. Water is cold, so just be ready for that 🙂 Thanks for visiting the best Alaska beaches! Looks like a fantastic place to visit. Relaxing views, beautiful scenery, I couldn’t imagine a better place to chill out. It is beautiful for sure. 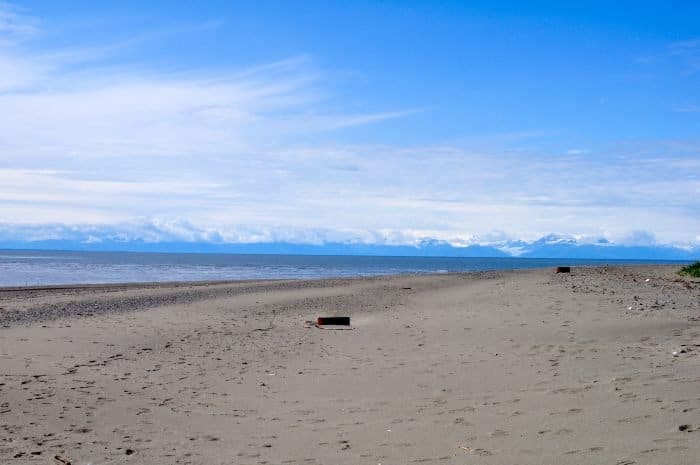 Thank you for visiting the best Alaska Beaches. Hi and thank you for the amazing article on Alaska! We have been looking into going there for a cruise. Looks like we might just want to fly there and stay….and explore now. I love your images. You have given us a lot of places to consider now. Thanks! 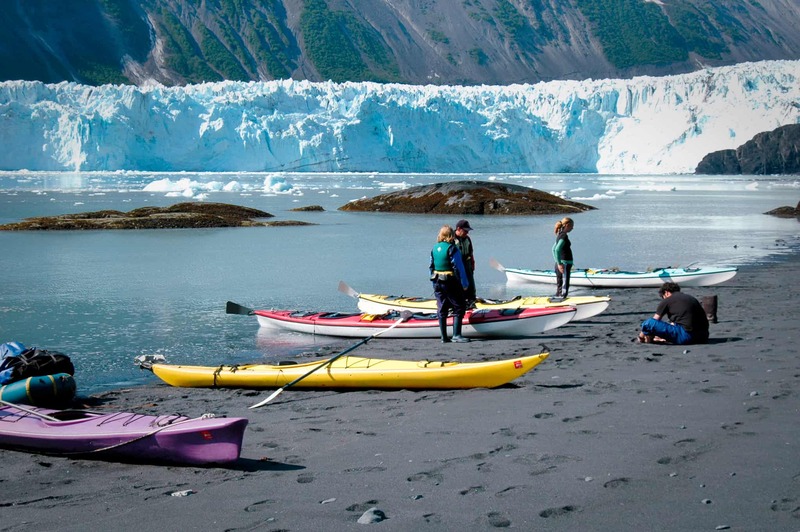 An Alaska cruise is really a cruise everyone should take that enjoy cruising. But if you can head to Alaska and spend at least 2 weeks exploring, it is so worth it! I lived there 22 years, and wish I would have seen more than I did. If you need any other information, please let me know. 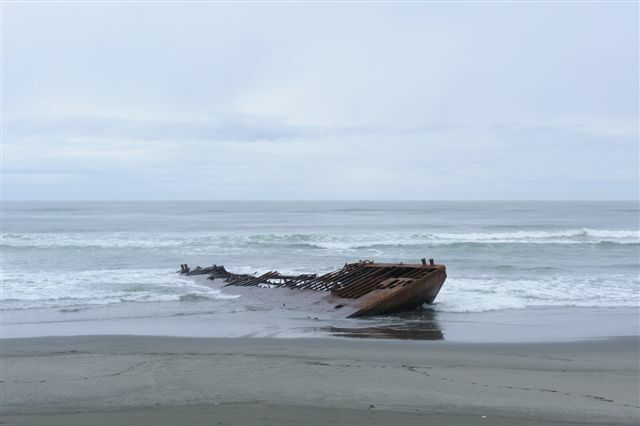 Thanks for visiting the best Alaska beaches. 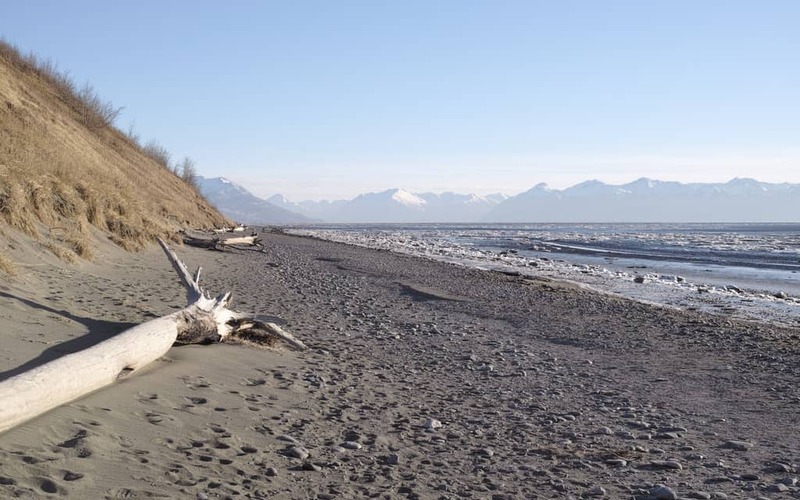 Great list of beautiful Alaska beaches! I’ve never been there, but one thing is for sure, I put Alaska on my bucket list! I live in a hot country, and since I hate cold, I would choose to go when the weather is pleasant. 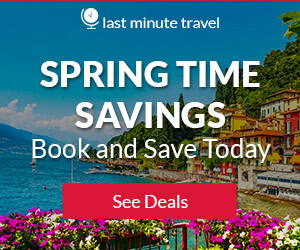 When would be the best time to visit Alaska for me? Is it always cold there or there is summer time? 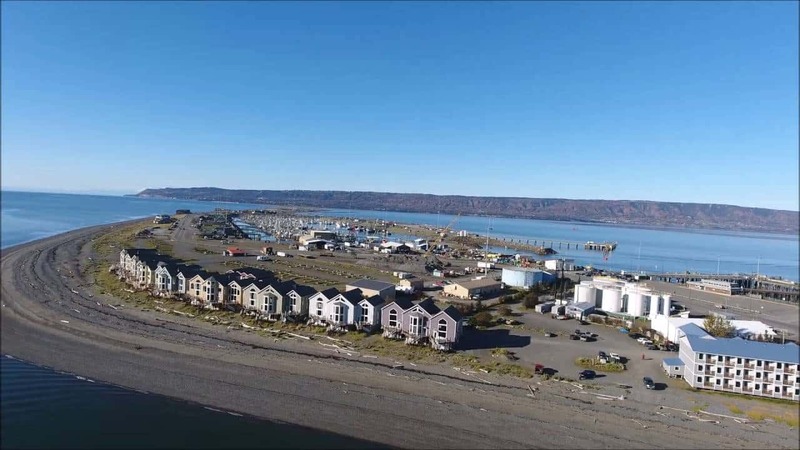 Hi Daniella, Thanks you for visiting the best Alaska Beaches. The best time to visit Alaska is in June, July and August. The days will be long and the weather will be warm. I do say warm….never hot LOL. You can get a few showers during this time, so also bring along a rain jacket just in case. Alaska is a beautiful state, and so worth a visit! I’ve finally been to a place you talk about 🙂 I’ve been to Alaska a few times as I have family there but I never really thought of it as a place for beaches. That being said, we have spent some glorious days walking along the waters edge on secluded, picturesque shores. Probably just want to bring long pants and a jacket instead of the bikini 🙂 Glorious way to think out of the box and not just share the warm sunny beaches, but the beaches that offer a whole different exciting experience! Exactly Lynne! I grew up in Alaska, and I did spend a lot of time on the water with my parents boat… and yes in a bikini. I guess I am just a beach bum at heart. I am in Alaska now visiting my dad, so I figured, why not write about it! Thanks for stopping by beach travel destinations. I had no idea Alaska had beaches!! I just presumed there would be snow everywhere!! Thanks so much for sharing this has now moved onto our list as these places look amazing!! Alaska is beautiful and yes, they have beaches. I can remember growing up and heading out on my parents boat. I was always out tanning myself and playing in the water. 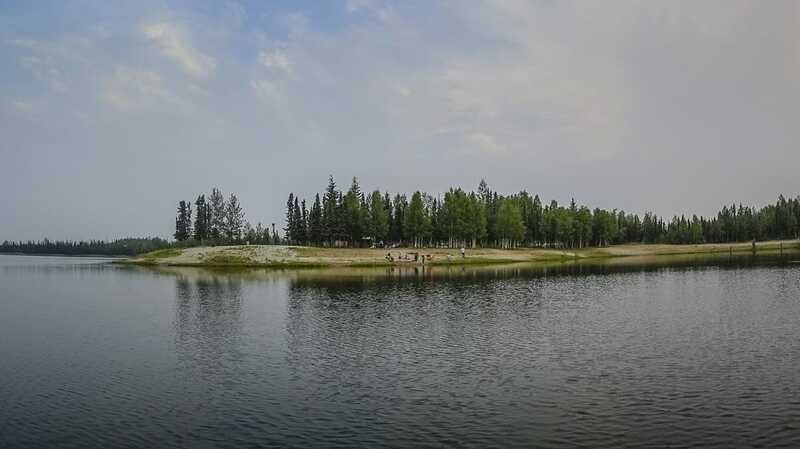 Yes, the summers are much shorter, but they can be very nice 🙂 It is a must visit destination for sure. 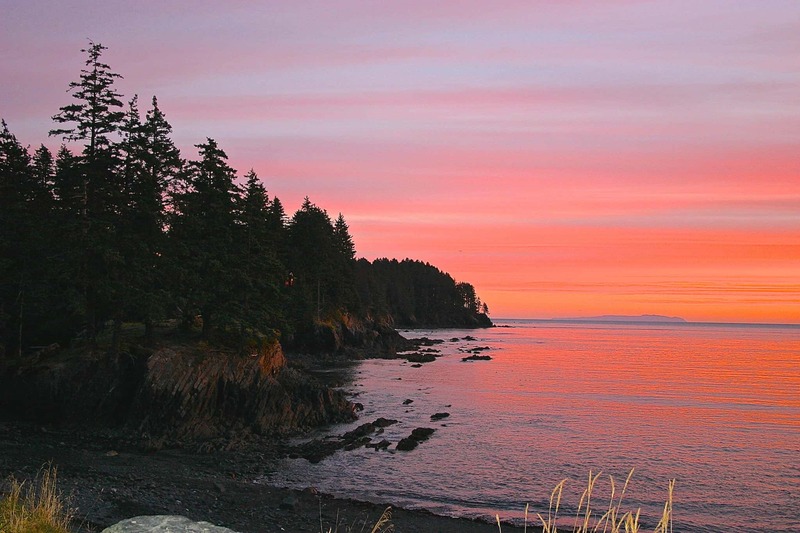 Thanks for stopping by the best Alaska beaches. I go to UC Santa Cruz and I surf. It is just marvelous. The waves crash down on me when I mess up, but I get right back up. I want to surf more. 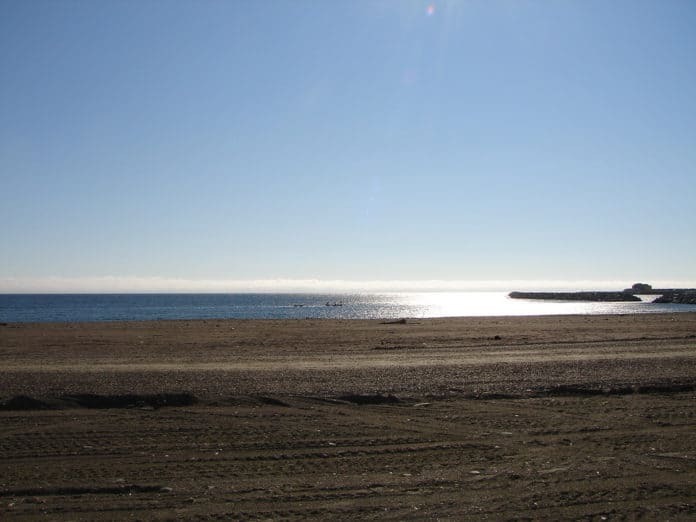 It is cool to know that I can go surfing in Alaska at Mill Bay Beach Park. There must be some good surfers there if they ride storms waves. Oh boy! Those are scary. I do have a question though. 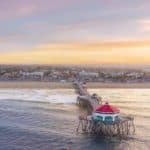 Have any pro surfers come out of Alaska? It seems unlikely, but you never know. Weirder things have happened. Ok, this is one place that I’ve always wanted to visit! It looks beautiful and people who have gone have said that it’s stunning! Ok, I am visiting right now and it is cold to me, but then I am from Florida! June thru August is going to be the best time, as that is their summer. You will want to bring a rain jacket as it can rain during this time. September is when the state fair is (nothing special in my opinion LOL), and I remember a pretty rainy time and a bit chilly. So don’t push it into September. By October it is getting pretty cold…they are forecasting snow for Monday! Yuck! This is a great list! I’m a surfing, and I keep reading about surfing in Alaska. At first, I was worried about the cold, but I hear in late summer it’s not as bad as I would have thought. You’ve given me my short list! I appreciate it. You can surf in Alaska, that is for sure! I think the water is cold, but my kids don’t mind it LOL. Summer are not too bad, maybe a bit rainy but I am actually visiting right now and the weather has been awesome!